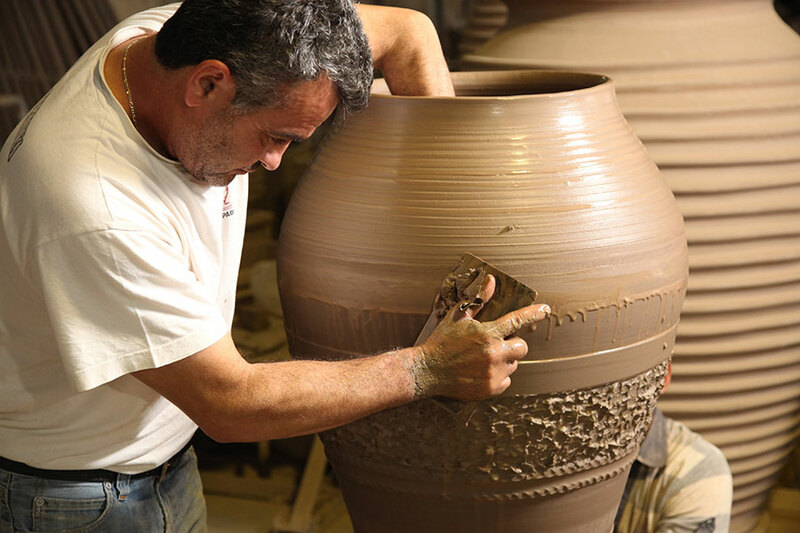 The art of pottery is well represented, from the past up to today, from ARAVIAKIS family, with taste, zeal, will and disposal for qualitative creations tries to leave its seal in the sector of Cretan tradition. 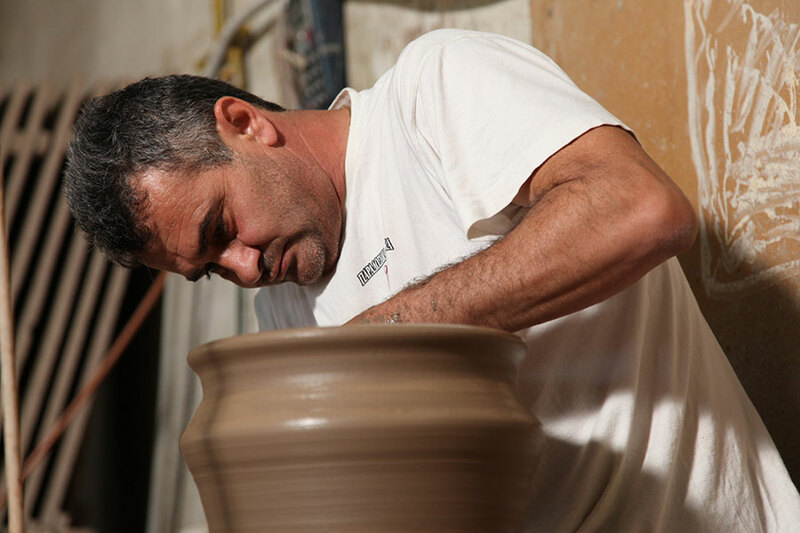 We try to honour the high art of ceramics, which we serve in THRAPSANO village at Heraklion Crete, providing our customers 100% hand made products. 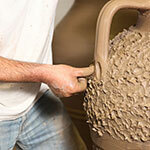 Today we continue the art of ceramics importing new ideas and perceptions in the traditional art. 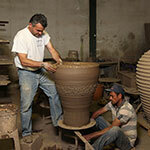 We invite you to visit us in our expedition in THRAPSANO to see closely the art of ceramics. Aiming the quality and the reliability, we seek for constructive collaboration, from anywhere. 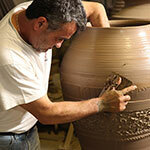 The 100% hand made products are made with the old traditional way that has its roots in Minoan Crete. 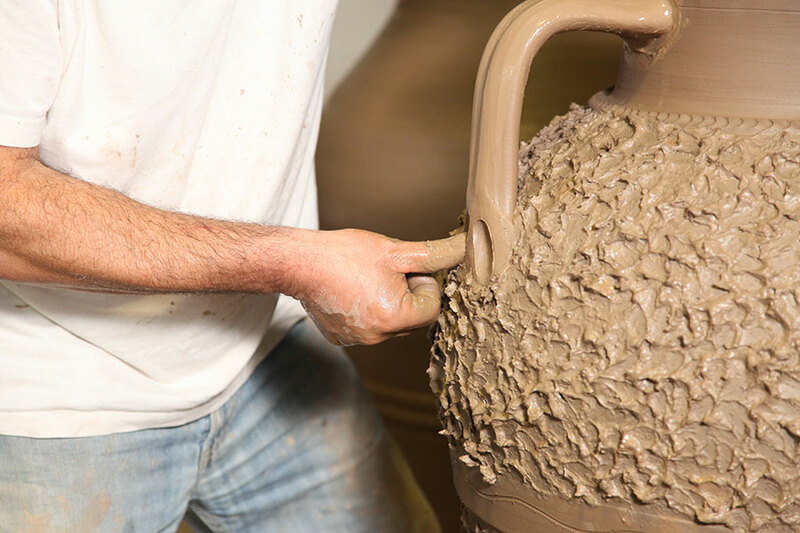 They are ideal for those who intend to decorate internal and exterior spaces. Their unique composition make them very useful for keeping oil, wine etc. If you are interested in mass ordering do not hesitate to contact us. 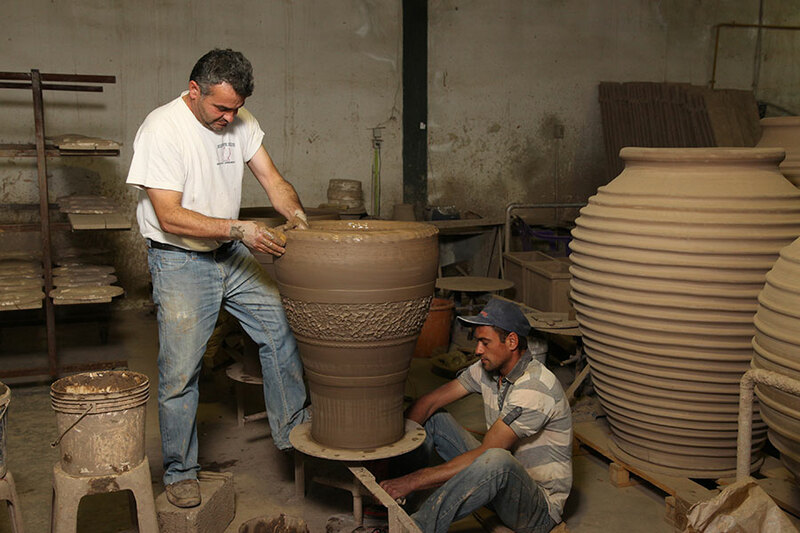 The products of our company are exported since 1989 to the most Worldwide countries. 100% Ecological. Made from earth and water and burned in the fire!